The Ile de Ré (pronounced “eel-d-ray”) is superb for traffic free cycle routes on easy going terrain. It's a gem of a place and a favourite haunt of Parisians who have long enjoyed the island’s laid back charm, the unique, watery scenery, some of the prettiest villages in France, boutique shops and excellent restaurants. It’s a gorgeous place to explore, with long lovely sandy beaches backed by sand dunes in the southwest, salt and oyster beds along the northeastern coastline and fields, woods, meadows and vineyards in between. It’s particularly satisfying for cyclists, as cycling Ile de Ré’s cyclepaths is by far the best way to see it: the paths take you into the scenery that the main roads just flit past. We think it's a top choice for families that love to cycle. 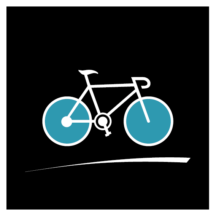 Its 100km of good quality, traffic free, largely flat cycle routes give lots of options: from child friendly village and beach loops to longer 60km+ routes for those who want to explore further afield. If serious cyclists find the terrain and routes too limited, they can always head over the bridge to the lanes of the Venice Vert. 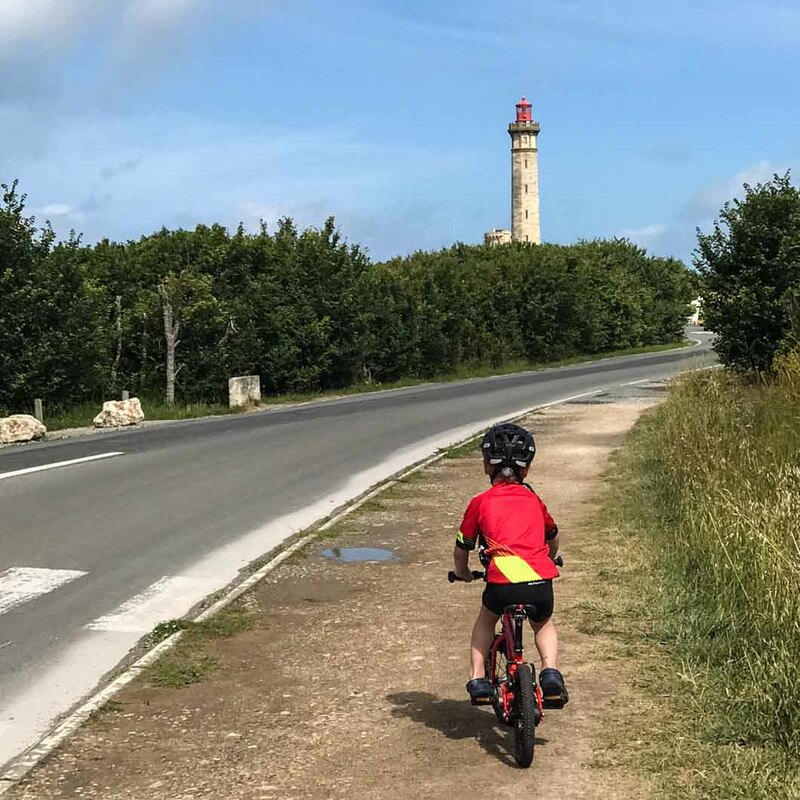 We loved our family holiday to the Ile de Ré and hope this guide helps you have an awesome time. Drop us a line if you’re planning a trip and have questions. We’d love to hear from you! With 100km of bike paths and a high point of 19m above sea level, the Ile de Ré is a haven for leisure cyclists and family cycle routes. But, as long as you don't need to do serious training, you'll also find the Ile de Ré surprisingly good if you’re on a road bike. The car free bike paths are a joy: good quality and through stunning countryside. Go before 9am and you'll have them to yourself - except for the smattering of other roadies you'll pass enjoying the freedom of empty lanes while the leisure cyclists are still at breakfast. 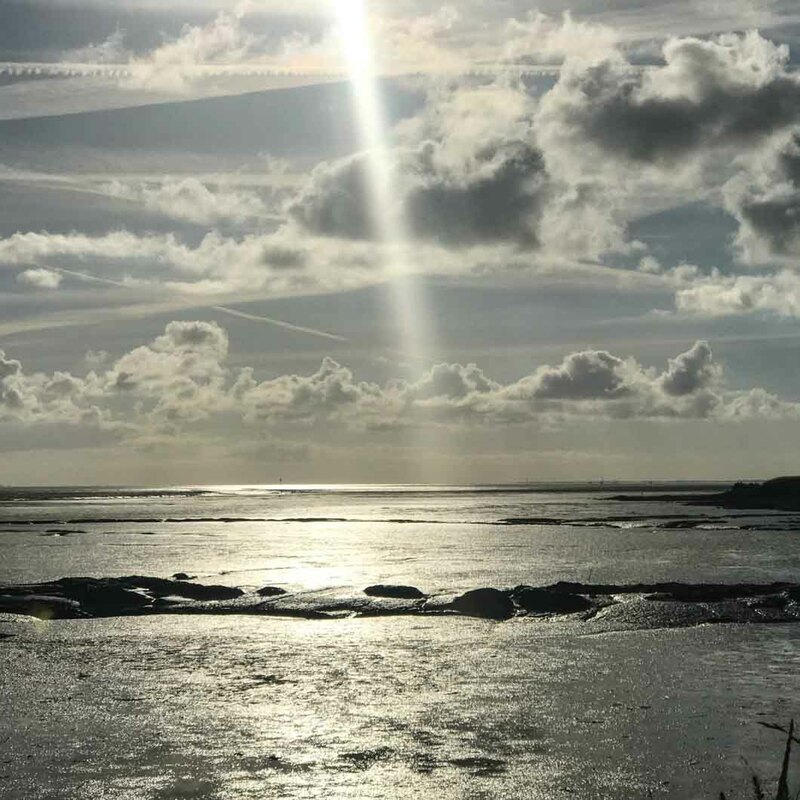 Our favourite area is west from Saint Martin: the bike paths around Loix, Ars en Ré and Les Portes en Ré weave between watery salt beds and the sea. It's a striking sight and a joy to ride through. All the island’s most unforgettable scenery and most beautiful towns in one memorable 60km loop. A 30km loop on good quality cyclepaths. You’ll get a great taste of the best of the island. The Ile de Ré has great family friendly cycle routes for children. The cyclepaths are largely flat and traffic free. What makes Ile de Ré extra special is that the network covers the whole island and the villages are close together (perhaps no more than about 7km between each). That means that wherever you stay, you can easily plan routes that will suit children of all ages. Get an Ile de Ré cycle map and you’ll soon see how many options there are. Pick one up from your nearest office de tourisme (tourist information centre) or a bike hire shop - or buy this Ile de Ré map in advance. 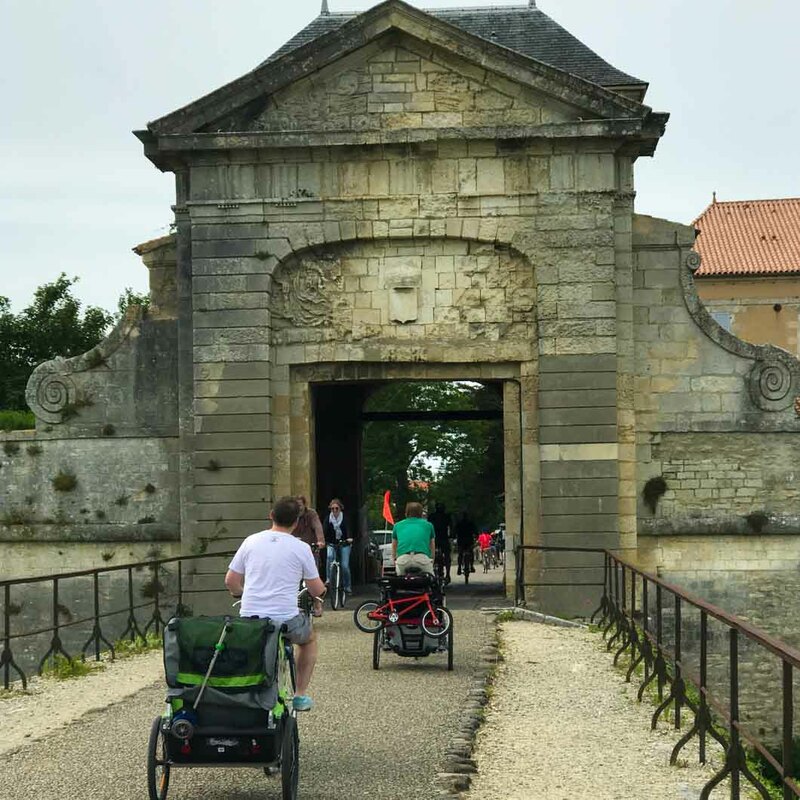 All the town centres we visited were car free and our young children enjoyed cycling while we walked (though you’d want to avoid the busiest towns like Saint Martin de Ré at peak times - and take extra care to ensure they don’t get too close to the unfenced marinas). Obviously older children will want something more demanding - take a look at the ideas below. La Flotte’s beautiful marina and historic abbey, all in one short but perfectly formed ride. 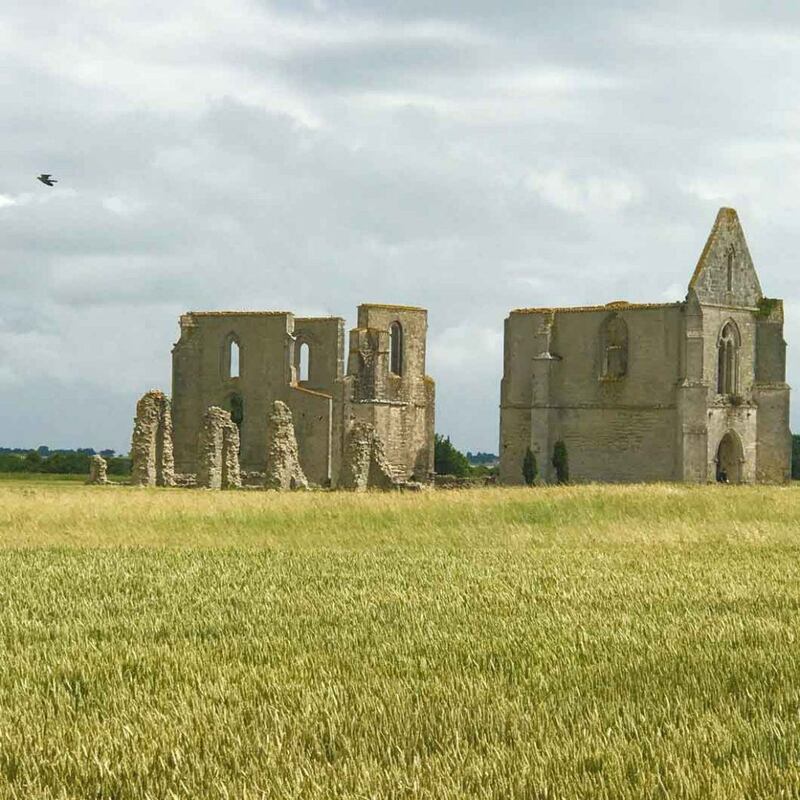 This short route takes in the highlights of the north of the island: the watery wilderness of the Reserve Naturelle de Lilleau des Niges with its incredible birdlife and the beautiful town of Ars en Ré. Should you have the energy, you could add on a trip to the wonderful lighthouse, Phare des Baleines. Alternatively you could shorten it to a 11km ride by making it a loop from Les Portes en Ré and cutting off the out and back to Ars en Ré. The quiet roads leading to Phare des Baleines lighthouse. This wonderful route takes in much of the best of the island. It starts at Saint Martin de Ré’s impressive marina and UNESCO world heritage fortifications, passes oyster farms and weaves through the salt beds of Loix, before passing back through vineyards and potato fields heading back to Saint Martin de Ré. Cut 14km and shorten it to an 8km ride by starting and finishing in Loix and cutting off the section to and from Saint Martin de Ré. 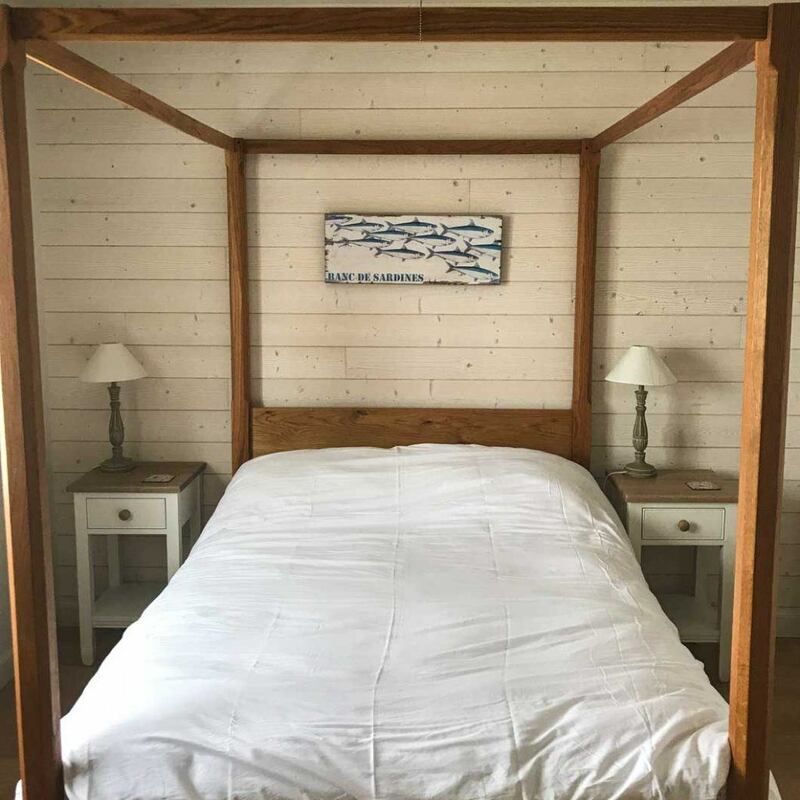 Where to stay on the Ile de Ré? 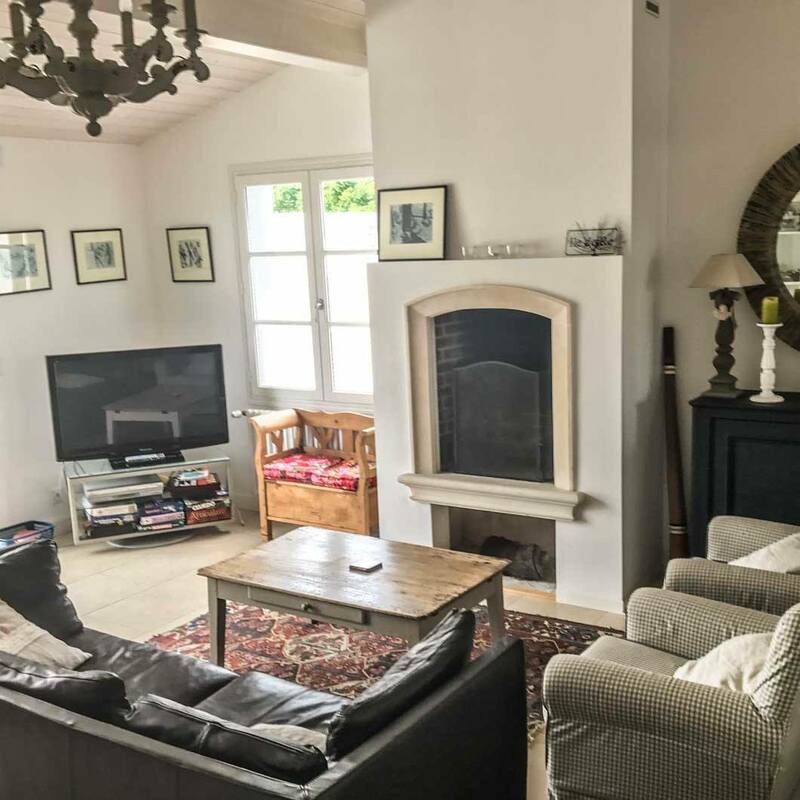 Luckily, it's difficult to go too far wrong with choosing accommodation on Ile de Ré. Want to start with which town to stay in? Don’t agonize too long - they are uniformly attractive: hollyhocks grow against whitewashed buildings, every building has subtle green/grey shutters and streets are cobbled, winding and narrow. The island is also small so it's never too far to get to anything on it. Yet there are some differences: things like how touristy/busy, proximity to the best cycle routes and a number of bars/restaurants. Read our post, The best towns for cyclists on the Ile de Ré for this kind of detail. If you aren’t too concerned over which town to stay in, you might want to focus on Ile de Ré’s accommodation choices first. We spent our week on the Ile de Ré in a beautiful five bedroom villa, five minutes walk into the centre of La Flotte. It was an excellent choice and we would wholeheartedly recommend it. The heated pool was warm, a good size and had an automatic cover. The three steps in the shallow end were useful for the toddlers to splash about on. Decked seating areas both sides of the property maximised exposure to the sun. Only five minutes brisk walk to the harbour. Nice decor, a very well equipped kitchen and good quality seating and beds. Big front garden with bike racks and space to park two cars. The property was fully enclosed, so no fear of a child running out onto a road. ​Good layout of the living areas. The kitchen has a good table with room for eight adults and a partially separated sitting room that you can see through a divider. There is also an additional seating area and dining table which we didn’t use very much. Good layout of the living areas. The kitchen has a good table with room for eight adults and a partially separated sitting room that you can see through a divider. There is also an additional seating area and dining table which we didn’t use very much. Not too many stairs. Three bedrooms are up four or so stairs from the kitchen. The master bedroom (and en suite) is the other side of the kitchen.The fifth bedroom (and en suite) is down a flight of stairs at lower ground floor level. Two bathrooms and two en suites made life easy. Good sized basement utility room with washer and dryer. There is also an outside shower, outside washing line, a microwave and a dishwasher. No bath. Not a problem if you are with older children/adults but potentially tricky if travelling with young children. The fifth bedroom is at lower ground level, with small windows. King size beds would have been better than doubles – the three relevant rooms were big enough. This villa sails through our “would we recommend it to our best cycling buddy” test. We would definitely return. Parking for one car. Any others can be left in the free overspill car park 10-15 minutes walk away. Had we been travelling without children, these Ile de Ré hotels would have been top of our list of places to stay in Ile de Ré. While these hotels don’t advertise themselves as being bike friendly hotels, each of them has confirmed to us either that you can store your bike in your room or in a locked garage (but you should re-confirm this with them prior to booking as things can change). Located right on the marina in the centre of Saint Martin. A small hotel that prides itself on its service. Pool open from the end of April to end of September. It’s a 3 minute walk from the hotel (but belongs to the hotel) and is heated to 26°C. There is also an endless pool feature. A spa opens in 2018. Member of the prestigious Relais & Chateaux group. Tip: we were advised that we would be able to store a bike in our room (if we booked a premier room or suite) or in their safe courtyard. Located on the edge of Saint Martin, a five minute walk to the harbour. Contemporary traditional interiors based on a whitewashed palette. Two outdoor pools, heated from April to September and a fitness room. One of the pools is adults only. The spa by Clarins is one of the best on the island. Babysitting is available as is bottle feeding equipment. Member of the acclaimed Small Luxury Hotels of the World group. Tip: we were told we would be able to store a bike in their garage. In central Saint Martin, a couple of hundred metres from the harbour. Built in the early 1700s, this is a beautiful mansion house hotel. Traditional, smart but homely interiors give a personal feel and the impression of staying in a friend’s house rather than a hotel (the hotel is family run so this makes sense). No outdoor pool and extra charges for use of the indoor pool/jacuzzi, sauna and steam room. Smoking forbidden in the hotel and grounds. Tip: we were told we couldn’t store a bike in our room but could store it in a locked room that would not be accessible to anyone else. Just a couple of minutes walk from the harbour. 22 of 29 rooms have a sea view (but note there is no lift). Tip: we were told we could store a bike in a secure, private underground garage or in our room (but note the lack of lift). 5 star hotel (but treat this with caution). Located adjacent to the seafront promenade, overlooking the beach, it’s about 500m to the marina. The decor is traditional and some areas look dated. Indoor pool and heated outdoor pool. The spa offers a wide range of treatments. Tip: we were told it was not possible to store a bike in our room but we could store it in their locked garage (employee access only). All seem thoughtfully decorated in a pretty yet pared back, minimalist style using a subtle relaxing palette. Outdoor breakfast area, comfortable lobby with books you can borrow and a small pool. No meals (other than breakfast) served but lots of places very close by. If you’re bothered by noise, request a room away from the church bells. They also have a range of houses and apartments (from a 7 bedroom mill to a 1 room loft apartment). All look to have been fully renovated and in line with the hotel’s smart aesthetic. Tip: we were told we couldn’t store a bike in our room but could keep it in a garage that is secured with a code. 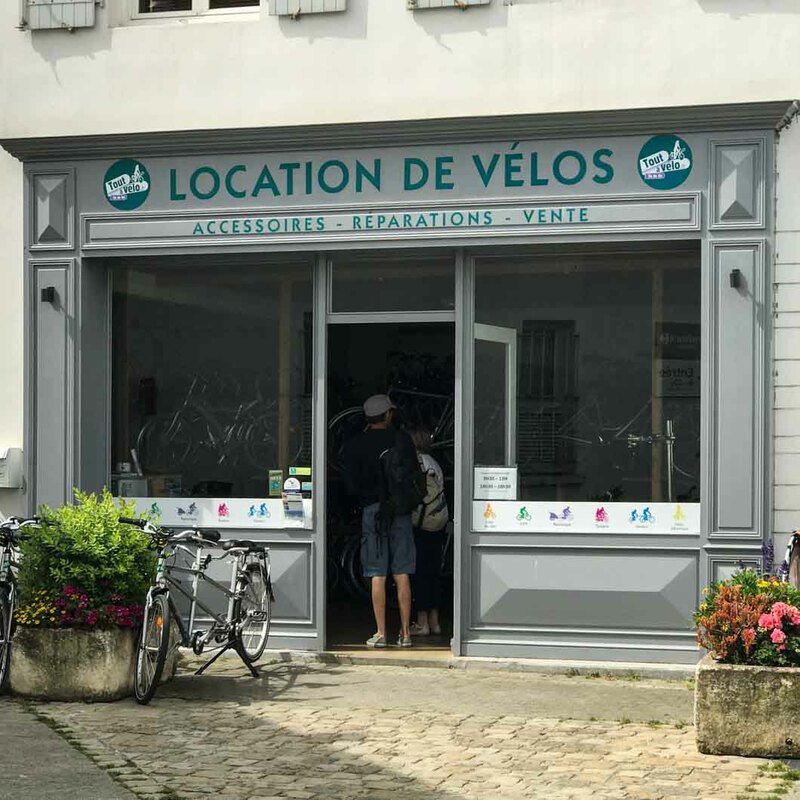 Bike rental is easy on the Ile de Ré: practically every village has one or more bike hire shop. Look out for the “location velo” signs. But don't come expecting top of the range road bikes. While we did see the odd mountain bike on offer, we didn't see a road bike in any of the cycle hire shops we visited in La Flotte. That's a reflection of the fact Ile de Ré cycling is on paths rather than roads and that most visitors are planning to cycle just a few miles. The good news is that if you want to hire a MTB or leisure bike, rates are very reasonable (due presumably to all the most competition). 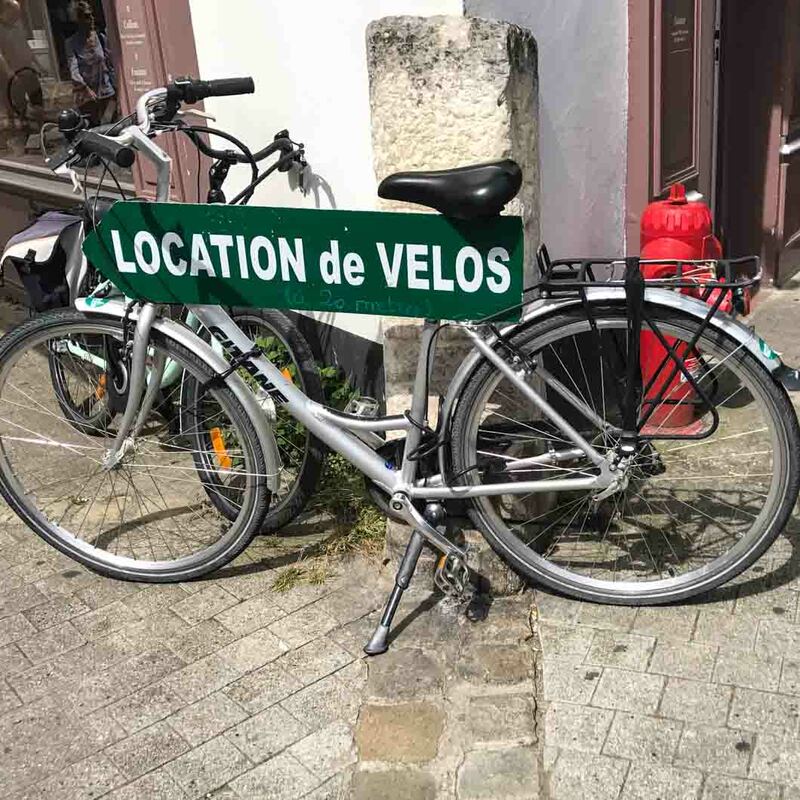 We have listed the Ile de Ré’s cycle hire shops in each town, to give you confidence that you’ll be able to hire a leisure bike if you want it (and so you can book in advance if you like). We only have experience of Rhea Velo, which was positive: straightforward and hasslefree, despite the women we hired from speaking very little English. Read this before you hire a bike - or, if you decide to bring your own, read our guide to flying with a bike. The Ile de Ré’s weather is often compared with that of the French Riviera due to the amount of sunshine it gets. The island's rainfall is also lower than on the mainland. It’s said to have a special micro-climate: in summer it is warm, without the fierce heats of the south of France, yet it also remains pleasant in Spring and Autumn. But being an island, Ile de Ré weather can be unpredictable. Rain and cloud can strike even in the summer months. There is also often a breeze - hence all the kite surfers! The weather in Ile de Ré makes it a good destination from May through to September. Though the weather is usually great in July and August, sky high prices and a huge influx of visitors may mean you want to avoid these months if you can. We visited in June and had reasonably good weather, albeit a constant breeze and a thunderstorm one evening. Weather on the Ile de Ré tends to be mild in winter. Temperatures remain reasonable though you may get some rain. Weather on the Ile de Ré is best in May to August. The downside of visiting in these core months is that prices are high and there are lots of other visitors. This is particularly relevant in July and August: when we visited in June, we didn’t particularly notice either the prices or the number of other tourists. On the upside, you should get warm days and little (if any) rain. Do bear in mind the almost constant breeze however - bring a light jacket whatever month you visit. The July and August tourist throngs disappear as people return to work in September. It can be a good time to visit Ile de Ré since temperatures in September and October remain high with averages of 21 and 18 respectively. But be prepared for rain: these are typically the island’s two most rainy months, with averages of 54 and 71mm. Temperatures in November and December are cooler (11 and 8℃ respectively) but average rainfall dramatically reduces (11 and 8mm). This section includes details of products we have either used and liked or which we think look great. Full disclosure: if you click on a link and make a purchase, we will earn a commission, at no additional cost to you. Please read our disclosure policy (which includes our Amazon Associates disclosure) for further information. We couldn’t find any detailed guides to the island. We found a few pages in a couple of guidebooks but we couldn’t recommend buying them as the information on Ile de Ré was so limited. The island’s beaches were used in the filming of the 1962 movie The Longest Day (which you can buy here). The island is linked to the mainland by a 3km bridge. On the bridge you’ll find a 2.5m wide cycle track in each direction, keeping the cars and bicycles separate. The island is 28km long and varies in width between about 3km and 5km, though it’s only 70m wide near Le Martray. Until relatively recently, the island was in fact three islets. When you look at a map, you’ll see why that could make sense, despite the fact it’s tiny. When we were researching our trip to Ile de Ré, we read so much about how everyone got around on bikes and how town centres were closed to cars, we started to wonder whether you could get very far driving on the island. Having been there, that seems a bit silly…! But in case anyone else is wondering, cars are very much allowed and you can drive all over. The very centre of some towns are closed to cars but there are car parks just outside. They may get overcrowded when the summer crowds hit, but driving is possible (though cycling is of course better in all regards)! If you’re in Saint Martin, you may see the strange sight of donkeys in trousers. If you wonder why, it’s because when working in the salt marshes in the 1800 and 1900s, they were bothered by mosquitos. So quick thinking islanders protected their legs with trousers! Want more? Don’t miss our guides to the best cycling routes in the Ile de Ré and other articles on the island, below. Good food is a key requirement for any awesome cycling holiday. Luckily Ile de Ré has a great selection of places to eat and we managed to visit quite a few of Ile de Ré’s restaurants in our week on the island (it’s a tough life). Know you want to go to the Ile de Ré but unsure which village to stay in? Read on! We share our views on the island’s best villages as well as top tips on where to ride and stay. Your inspiration for a wonderful 30km loop around the salt beds of Loix. Your guide to an awesome Ile de Ré cycle route: 60 km with incredible scenery and beautiful villages.